Roston Chase initial steps did raise some questions, as he looked to go after India’s spinners soon after taking to the field. HYDERABAD: It was a familiar scenario. West Indies were staring at yet another collapse, after being reduced to 92/4. However, the script at the end of the day was quite different. Roston Chase took charge of the situation to ferry his team to safety (295/7). The lanky right-hander’s initial steps did raise some questions, as he looked to go after India’s spinners soon after taking to the field. As the innings progressed, his control and strike-rotation dug his team out, with company from Shane Dowrich and Jason Holder. The later was Chase’s most-significant ally, as the two were involved in a 107-run partnership for the seventh wicket. In stark contrast, and much in line with what had cost the visitors the first Test, two of his teammates — opener Kieran Powell and newcomer Sunil Ambris — succumbed to needless aggression.Chase isn’t a stranger to conducting rescue missions. 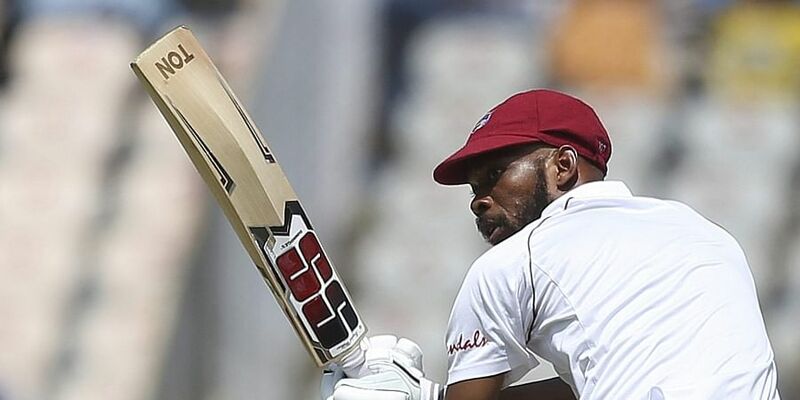 In his debut series — two years ago at home — the 26-year-old’s fifer and highest Test score (137 n.o) had helped West Indies save a match against India in Kingston. In this series, the all-rounder had already notched up a half-century in the first innings in Rajkot. In the 10 innings he has played against the current Test numero uno, Chase has scored 459 runs. His ability to handle spin — a trait that he has showcased in particular against India in some of those outings — was again on display. Eighty two runs of the all-rounder’s unbeaten 98 came off Ravichandran Ashwin, Ravindra Jadeja and Kuldeep Yadav. With this information in consideration, the question that may pop up is: “Why not push Chase up a couple of slots, as their top-order has been misfiring?”. But Law was in sync with the immediate counterargument that is bound to be used against this notion, remarking that Chase’s role as an off-spinner too is a factor for such a decision. “The way things are going at the moment, I think he’s batting at the right spot. He did well in the first Test. We have worked hard with Ros. In the last couple of weeks, we changed a few technical things. He has worked his socks off to get this right.